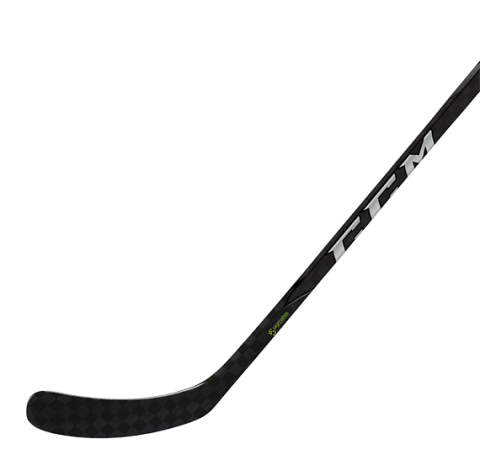 CCM Ribcor Trigger 2 PMT Senior Hockey Stick | Sports Etc. KICK POINT: Optimized Ribcor Low Kick: The ease and quickness of release of a low kick with an enhanced flex zone in the upper third of the shaft to allow players to store maximum energy. BLADE: Ascent Blade 3: Lighter blade that features tactile blade surface for heightened puck feel and added reinforcement in the heel and toe. SHAFT: Manufactured from a low fiber areal weight carbon to optimize performance, minimize weight, and maximize strength. SIGMATEX: An exclusive spread tow fabric developed by one of the world’s leaders in composite technology that is not only ultra-lightweight, but very strong due its high tension weaving process. With a new and improved taper and an optimal flex ratio, the ease of loading and the quickness of release of the Ribcor Trigger² PMT is the next great Ribcor stick to add to your lineup. By combining all these new features with Sigmatex spread-tow technology, what you get is CCM’s best performing Ribcor stick to date. Sports Etc Performance To Value Rating– 9 out of 10- We have tried it, and we can safely say the Ribcor Trigger 2 is one of the very best quick release sticks on the market today. Perfect for any experienced player looking for a competitive advantage. One of the most popular sticks in the NHL today.